six selected shades vary from natural to light brown color. This collection is finished with high-end heavy-duty lacquer and UV-oil. Lacquer finish has an eggshell glitter and leaves semi-open pores on the surface. UV-oil is a matte finish, which along with the brushing keeps the oak fabric intact. 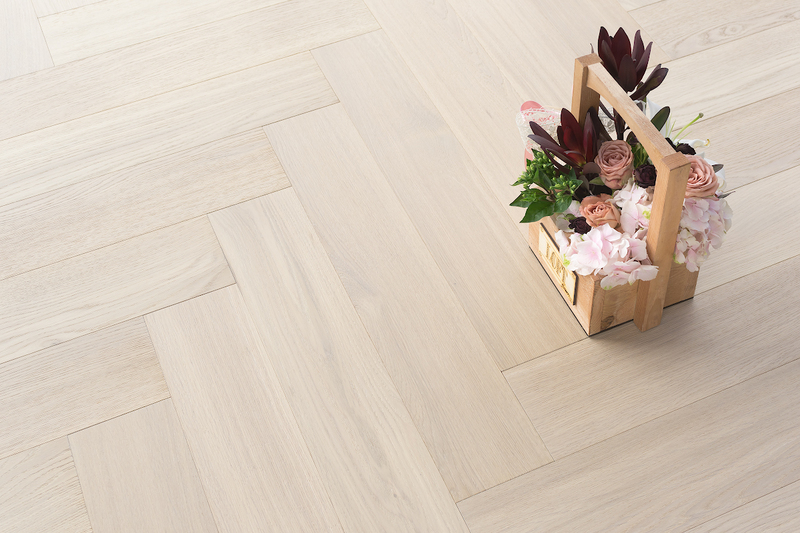 Herringbone collection has the following grades: Select (clean and uniform appearance), Nature (moderate selection of natural tones and textures with character marks) and Rustic (contrasted appearance, presence of manually inserted character marks).